A well-constructed solid wood Amish Cedar or Blanket Chest allows you to easily store your blankets and bedding accessories – and in high style! Choose from dozens of gorgeous models such as the Antique Mission Blanket Chest, Fresno Cedar Chest, Mission Style Blanket Chest, Royal Santa Fe Blanket Chest, Waterfall Carved Cedar Chest and many others. You’ll marvel at the intricate carvings and other details that make each chest a unique showpiece you’ll be proud to have in your home. And while there’s a practical side to a blanket chest, there’s also a personal connection a family makes with this special piece of furniture. In the past, a blanket chest (or “hope chest,” as they’re often called), was filled with many of a family’s most prized possessions. It was a safe place for bedding, of course, but also for things like wedding dresses, important documents, photographs and other items that required protection and safeguarding. Perhaps your mother or grandmother have one? A cedar hope chest is designed to sit at the end of the bed, but of course you can put one anywhere you like. The high-quality natural hardwoods help control humidity and odors, and keep your precious items safe and sound. Built using traditional Amish methods, every one of our beautiful hardwood or cedar blanket chests will be around for many years, and can be passed on to your children. They’ll appreciate knowing that they’re continuing a family tradition, and have a special place to keep their own blankets, bedding and possessions. A great way to get started with the selection of your chest is by using the helpful and convenient online design tool that youll find on every product page. Have fun experimenting with various combinations of hardwoods (oak, cherry, maple, hickory, etc.) and gorgeous wood stains. Once youve discovered the perfect design for your chest, our Amish master crafters will bring it to life by creating a solid wood masterpiece you will cherish forever. Are you worried you don’t have much room, and are lacking the space for one of our Amish hardwood or cedar blanket chests? Rest assured that we carry several different sizes. Some of our smaller wood blanket trunks are ideal for a child’s bedroom or small study, while our largest models look great at the foot of your bed or as a display piece elsewhere in your home. With over a dozen beautiful classic Mission and Shaker-style designs, you can choose a chest that suits the style of your room. You can even take it a step further and customize your Amish blanket chest, right here on our website! 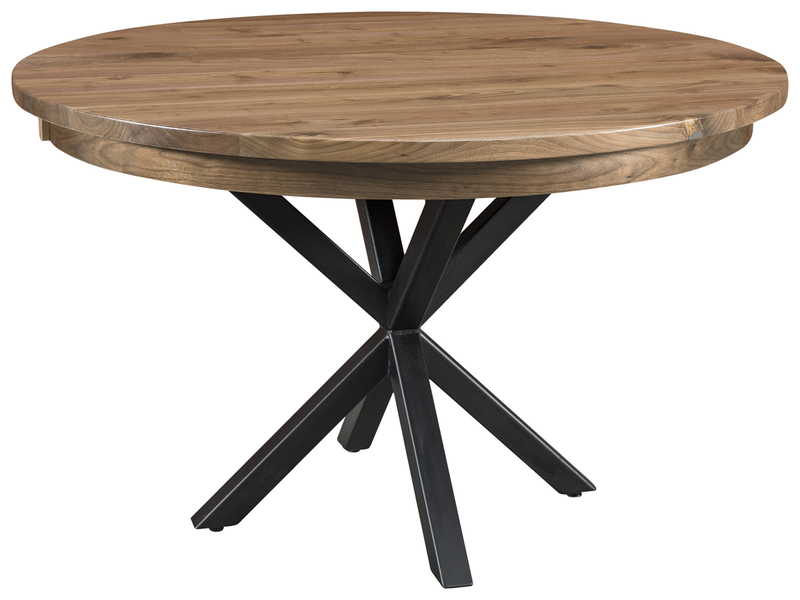 Simply choose your favorite design, preferred wood, and the color and shade of stain you like. Depending on the total price of your order, we will apply a discount to thank you for your purchase. Why not pick a different style hardwood or cedar blanket trunk for every member of your family? They’re especially wonderful for children to use in their bedrooms to store their bedding, clothes and toys. Built sturdy, with quality materials, your authentic wood blanket chests will withstand years and years of use. Another interesting thing to know is that many of our Amish blanket chests are part of a complete set of furniture. As a result, you can choose a bedroom set, for example, and get the matching hardwood hope chest. Some may prefer to get a trunk with a contrasting design, so that it really stands out in your room as a centerpiece. In all cases, the great choice in woods, grains, and stains means you can personalize your Amish blanket chest to suit any décor. Try that with mass-produced furniture, which usually comes in a limited range of materials, and only a handful of finishes. Take advantage of our multiple discounts to get a fantastic deal on your chest. Purchase any piece from our collection right now and get up to 33% off the regular retail price. Discounts are also available for large orders and when paying for your furniture by check. Whats more, youll find numerous special promotions that can help you save even more. We want to make it possible for every family to own one of our special Amish blanket chests. Start filling your home with memories that you can pass on to the next generation. You can choose and customize your Mission or Shaker-style hope chest right here on this site. Start by checking out our individual designs, ranging from low, space-saving slider models to larger, more elaborate designs that come complete with a padded top for seating. You’ll enjoy creating your perfect blanket chest, and hardworking Amish artisans will take pride in crafting it to their exacting standards using century-old techniques. Don’t settle for a cheap, flimsy, unattractive hope chest that’s churned out of a mass-production facility. 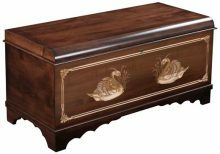 Choose the quality Amish blanket chest that your family deserves. Chests and let your imagination run wild as you explore the possibilities!